Hi There, this is my first post. Considering an upgrade to my trusty Isomac Zaffiro. Looking for a HX model so i can steam whilst pulling my shot. Considering ECM, Bezarra, and Rocket machines. Can anyone describe the difference between the ECM Technika and Mechanika models? Also pros and cons of rotary vs vibrating pumps.? Thank you. When I was looking a year ago I compared side by side the Technika and Mechanika not the slim both are the same internal it was the outside panels were different and the Technika was a couple of hundred dollars difference and ended up buying the Mechanika both had lever valves which I love. The newest model releases they have changed a bit turn knob valves, lever valves, rotary pump and vibrating pump, still the same internal as far as I know. Beautiful machines to look at and feel. Bought the Mechanika and still in love with it. Thank you. Makes it an even tougher decision when you have two such awesome looking machines that are apparently so similar! I'd just like to point out that for the Profitec Pro 500, the spreadsheet has it listed as having PID, which is correct in other countries. The Australian version is not available with PID, however. It's worth keeping that in mind if that's important to you. Also worth noting is that the Pro 500 is available with a copper boiler in this country from some sellers. Thanks! I guess I want the spreadsheet to be true to that of the official manufacturer's specifications and not specific to a certain market. Interesting to hear that you can't get the PID version. Have you tried to ask for that version? I'd just like to point out that for the Profitec Pro 500, the spreadsheet has it listed as having PID, which is correct in other countries. The Australian version is not available with PID, however. Can anyone describe the difference between the ECM Technika and Mechanika models? Also pros and cons of rotary vs vibrating pumps.? Interesting link. I have the “no PID” version and it’s pretty / very awesome. I guess a PID is evolution though but if it’s $200 or 300 more for a PID I would probably pass. Thinking about the PID. Is changing temperature from shot to shot something people do or are people more likely to just set and forget? I would guess it’s a matter of set and forget but I’m keen to hear from the CS brains trust. I guess a PID is evolution though but if it’s $200 or 300 more for a PID I would probably pass. It reads as it will be standard on the machine and there will no longer be a non-PID version? My understanding is that PID control gives better long term reliability as it replaces the pressurestat which has a limited lifespan and eventually needs replacing. 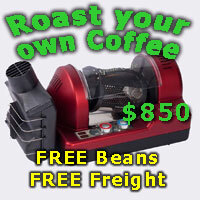 Different beans and roast depth could benefit from PID temp control all things being equal. Last edited by CafeLotta; 17th June 2018 at 05:28 PM. This change almost makes a dual boiler unnecessary then as the PID control was the only plus I could see for a dual boiler. I couldn’t justify $1000 extra for the dual boiler but I suppose just a little extra for a PIDed pro 500 would have been pretty cool. Any well engineered and well built machine, like all those mentioned above, is capable of making great coffee (PID or not). As with any good tool, the end result is dependent on the user. The onus is on them to learn to operate it properly. So true CL. All good machines and it gets to hair splitting in the end really.